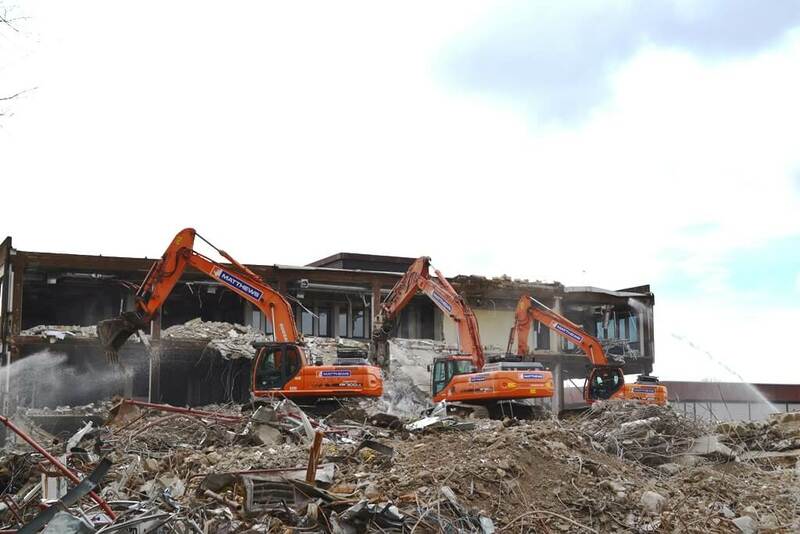 Matthews (Sussex) Limited were contracted by Hargreaves Developments to undertake this major demolition and site clearance of the former BAE systems site. Measuring 4.42 Hectres comprising of buildings and car parking dating from the early1980s. The main building comprised of offices with annexe, rising to three storeys in height with a total floor area of 19,498m2. The restaurant building measured some 973m2 and provided restaurant and rest facilities for employees on site. Enabling works also required removal of a car park that provided parking for approximately 831 vehicles. 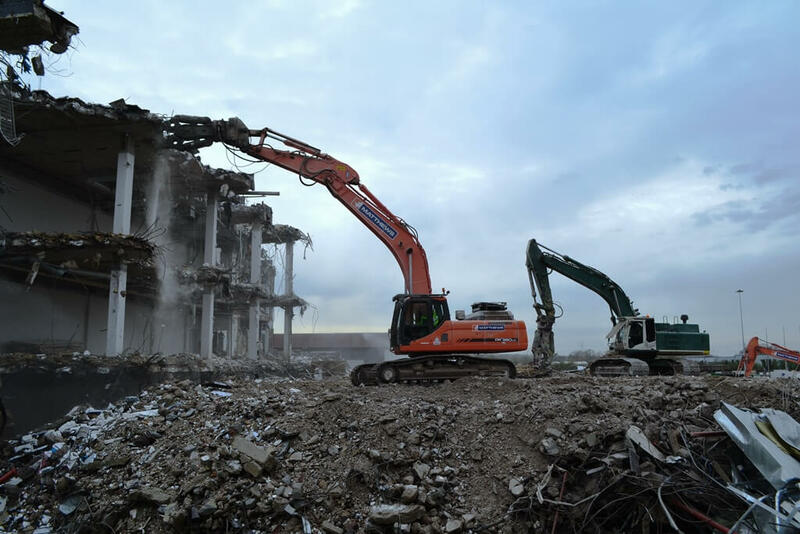 Due to the size of the site and the particularly tight programme that was required by the client, Matthews (Sussex) Limited utilised a large amount of its demolition plant. With more than ten excavators and two crushers deployed on site as well as over twenty of Matthews bulk muck away lorries deployed on site, the programme was achieved with time to spare. Utilising Matthews own environmental remediation department significant testing was carried out throughout the project to keep the client fully aware of current and potential future site conditions.